It’s almost 2018 and tech companies are more booming than ever, AI is taking over more of our daily lives, and the mysterious Blockchain technologies are becoming more popular and powerful. For new developers, this tsunami of new information and opportunities can feel very chaotic, which is the reason why many people focus on the wrong parts during the first stages of their new career and miss many important, fundamental steps! Working with the newest technologies seems like the absolute dream for many new developers. As the amount of new technologies increase immensely almost every single day, the pressure on new developers to know even more increases as well. As people reached out to me asking about those technologies, I noticed that many new developers are completely ignoring many important steps that they should make, as they solely focus on knowing the latest trends and tech giants such as Google, Facebook and Amazon. This isn’t only bad for them personally, it also means that many people lose their passion for coding as they experience too much pressure, and the community loses many valuable developers! Programming can be extremely frustrating, but staying passionate about coding is the most important of all! After talking to many people, I noticed a few similarities between their stories, which are in my opinion some of the most important steps to take when you’re a new developer. 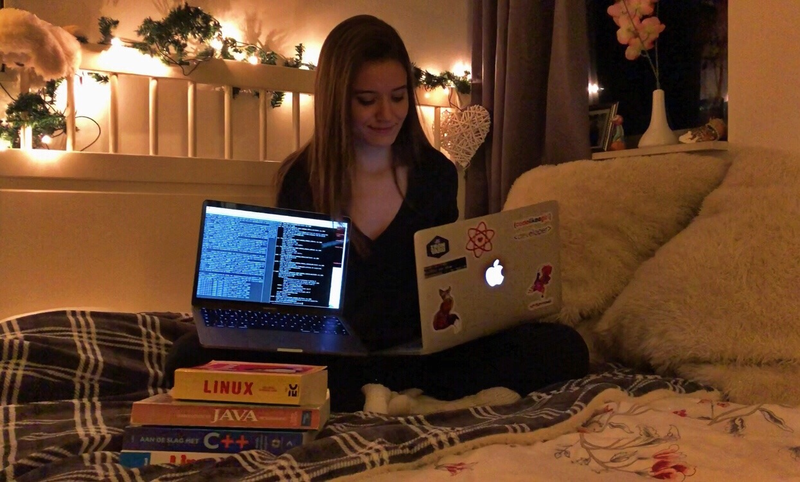 Most important of all: stay passionate about programming! Instead of applying for bigger companies, try to work for a small/medium startup, and avoid working remotely. Working for a startup is an amazing opportunity, as you can really focus on your self-improvement and learn how to work effectively in a team! You will probably get many tasks you don’t feel comfortable with yet, your responsibility is much bigger than at a larger company, and you will be much closer to the more senior developers around you: it’s the perfect learning environment! Working remotely is a great advantage of being a developer, but as a new developer it can be very tricky. Sure, your coworkers are probably always online, but you will most likely get issues that are hard to solve by yourself. By being surrounded by more senior developers, you will learn insanely much by even just listening to their conversations (stalker! ), and it’s much more effective for the team and yourself if they can help you right away rather than online! Try to focus on writing good code, not fancy code. A lot of developers focus on learning how to write ‘fancy’ code rather than clear code that’s understandable for everyone, which will eventually only lead to bugs and confused co-developers! It’s completely normal if your code is not the cleanest or fanciest in the beginning. Along the way, you’ll notice that you get too lazy to write code a certain way, and you’ll find your own ways to write it a bit cleaner! Focus on learning how to write good quality code that’s understandable for everyone, rather than the ‘fanciest’ ways. Try to think critically about programming, and form your own opinion. This might sound very vague, but it’s important to not just follow trends! There isn’t just one way to think about programming or a certain technique, and it’s very helpful if you have your own good arguments to base your decisions on, which will also really improve your self-esteem. By reading many articles from several authors, you will notice that many developers have a completely different view on things that might have seemed unimportant at first. Always listen to other developers and try to understand why they chose to implement a feature in a certain way, why they chose to use a specific framework, and so on. Try to revolve your life around coding, but don’t get obsessed. The coding community can make it seem like the only way to become successful is to code non-stop at your 110%, but that’s simply not true. By having this mindset, you’ll only associate coding with something negative, which it really isn’t! To keep coding enjoyable can be very difficult (let’s be honest, it can be very frustrating and boring), but by changing very small things in your life, it’s totally possible keep yourself busy with programming while keeping it fun. Read articles on the subject while you’re commuting, try to solve at least one CodeWars kata before going to bed, write your own blog post; just find what works best for you. And always remember: don’t ever feel pressured to think about coding in a certain way! It’s completely different for everyone, and you will find out what works best for you. Try to get your name out there and network with as many people as possible. Be active on social media, write a blog with your struggles and the things you’ve learned while programming, share your advice with other developers, and join many developer Slack groups. You might think you’re not an interesting person and that no one will read your content, but it’s worth trying. It’s generally known that networking is important, but as a new developer it’s very important that people know your name and can see your coding skills. It doesn’t only make getting a job easier, it’s also very motivating to have a group of people behind you that will support you and could help you if you’re struggling! Choose a programming language to be an expert at. It’s a never ending discussion, but it’s really a lot more valuable to master a certain programming language instead of knowing a bit about several languages, plus you will make it a lot easier for yourself this way. Choose a language you enjoy working with, and can build the things with that you like to build! Always try to surround yourself with people that are smarter than you. Feeling like you’re the dumbest one in the group might be a bit of a self-esteem killer, but you will notice that you’ll become more critical towards yourself in a positive way, and you’ll be more motivated to improve your skills! Being critical is definitely a big plus to have if you’re a programmer (rather than just thinking that your way is always the right way, like some people on StackOverflow like to think…) and you will develop really healthy habits this way. Don’t just focus on the tech giants or trending technologies. Although they might seem incredibly interesting, they’re really not the right things to focus on in the beginning. Don’t worry, you will absolutely get there one day if you work hard enough, but it’s important to take your time and actually develop and maintain good coding skills! It’s completely fine to feel anxious. It probably feels like you’re wasting your time by focusing so much on the fundamentals and starting small, and you’ll most likely get a certain feeling of pressure. While new technologies are increasing at this rate, it might feel a bit stressful to not know that much about them! But believe me, mastering the fundamentals will absolutely get you wherever you want to go, and taking your time to really improve is more than worth it. You’re much better at programming than you think, and you will absolutely get to a higher level. I say this in almost every article, but it’s really true. A lot of the pressure new developers feel is caused by the famous impostor syndrome, which can really stop them from improving themselves as much as they should. Stop comparing yourself to the people around you, and completely focus on your own improvement. Many things will change in 2018, especially in the tech world. As programming is becoming more accessible for everyone, it’s very important that people know what the right steps are, and not feel overwhelmed by everything that’s happening. By writing this article, I hope that many new developers realize that it’s completely normal to feel this way, and know a bit better how to handle the first steps into their new career! 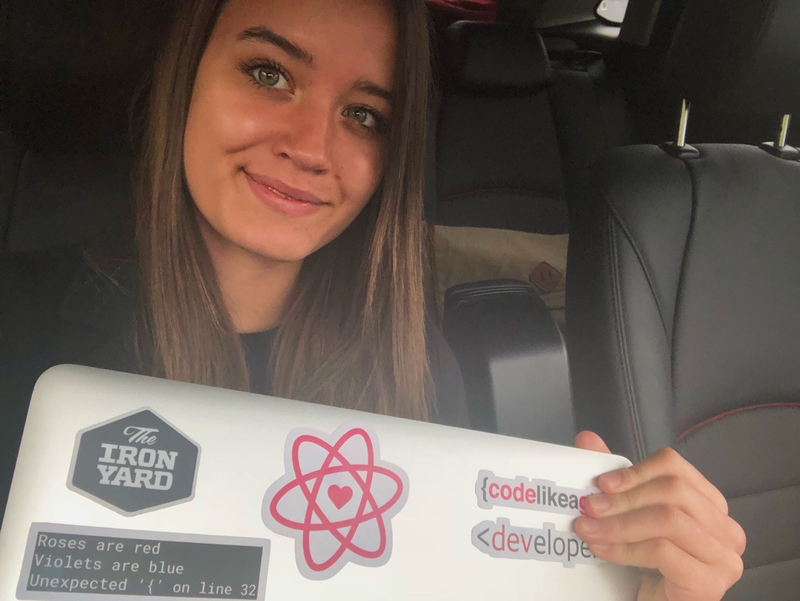 If you have any questions about who I am or my advice for people learning how to code, read my previous articles Advice From A 19 Year Old Girl & Software Developer and How To Successfully Teach Yourself How To Code. Feel free to add me on LinkedIn and on Instagram!